Wn11 Ouistreham-Le Maresquire, K.V.U.Gr Riva-Bella, K.V.Gr Caen. Wn11 was a defence position with no bunkers but a small field defence system and south of the defence is a fuel depot. 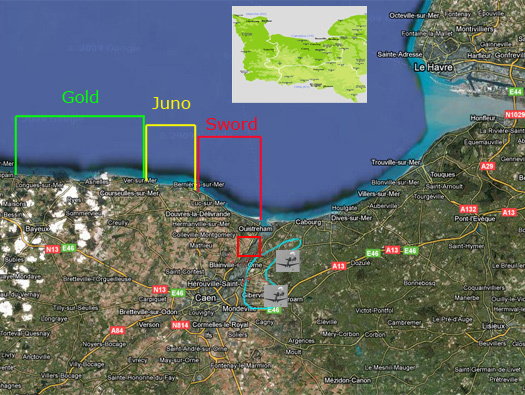 Bigot map showing the defence inside a quarry which is a very good defence position. South there were petrol tanks which are still used today. 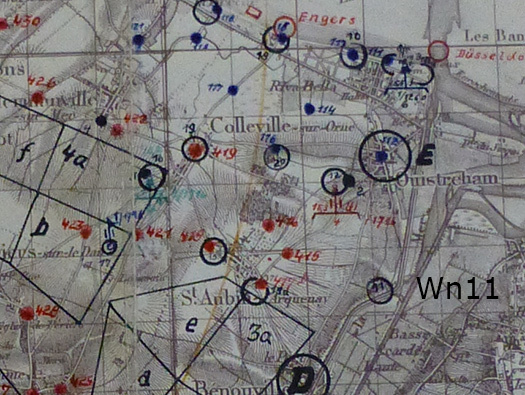 German artillery fire control map showing Wn's and batterie sites. Wn11 set on the side of the canal between Ouistreham and Benouville and Pegasus Bridge. 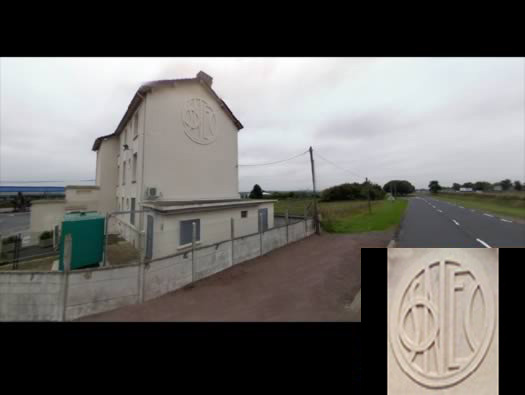 I do not know what the sign is, I thought when I first saw it that it was SNCF railways but I am not too sure now. 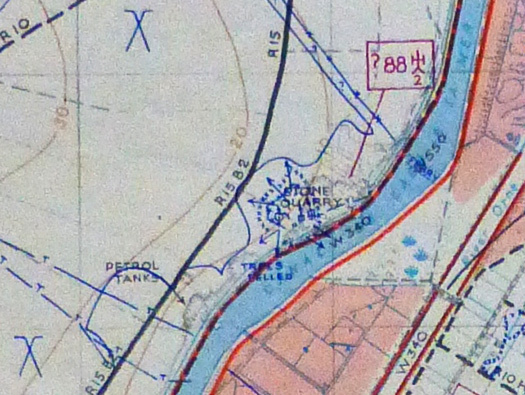 It was fuel depot in 1944.